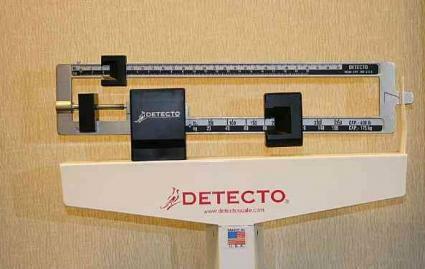 Many teens find themselves looking for teenager weight charts to see how their weight compares to the rest of their age bracket. Some teens look to figure out if they are overweight, while other teens are just curious what the average height and weight is for a teenager. 14 to 15 Years Old 105 to 125 lbs 105 to 115 lbs. 16 to 17 Years Old 130 to 150 lbs 115 to 120 lbs. 18 to 20 Years Old 130 to 150 lbs. 125 to 130 lbs. These numbers take into account growing teens and evaluate teenagers as teens, not as adults. These numbers also average weight across all teens and break them down by different age brackets, rather than looking at all teens 13 to 18 year of age as one group. Another health chart that is often used for analyzing someone's weight is the body mass index scale (or BMI). The scale takes into consideration a person's height and weight and calculates a number that can be used to see how healthy a person's weight is for their particular body. Since the metric is based on a person's height and weight only, it does not take into consideration other factors such as health conditions, frame size, or muscle mass. You can use a BMI calculator specifically made for teens on websites such as The CDC. BMI is assessed on the following scale: a BMI number under 18.5 is considered underweight, a BMI between 18.5 and 24.9 is considered normal weight. A BMI between 25 and 29.9 is considered overweight and a BMI over 30 is considered obese. There are also tables out there for those who are interested in finding out what the weight is for their BMI. A body mass index chart, such as the one from the National Heart, Lung and Blood Institute, can show what weight for a person of a given height would result in a certain BMI. Puberty causes lots of changes. For some, weight will pile on suddenly and seemingly with no end. For others, they won't even gain a pound. Puberty affects everyone differently and is rougher on some than others. Your doctor is in the best position to analyze your health, not a chart. While figuring out what the average weight at your age is can be helpful in helping to ward off health problems later in life, not everyone fits the mold. Some teens have limitations where an average amount of weight is too much for their body while other teens would be in a state of malnutrition if they weighed the average weight. Dieting is hard, but gaining weight is easy. If you find yourself gaining weight quicker than your peers, try to enact healthy eating habits of teens who have lost weight to nip the problem in the bud. The average weight for teens is growing. What is average now is higher than it used to be a few years ago. As a result, there may come a point where average isn't a healthy number for most teens. When teens are growing and establishing their own self esteem, it is natural to look out to see what is average in others. However, every teen is different--and that's a good thing. Take pride in yourself rather than endlessly comparing yourself to others and you are likely to be much happier! If you have concerns, talk to your doctor about your weight.